It’s November 2017, in Rwanda, at Gihembe and Nyabiheke Refugee Camps. I had the chance to be on the field to train health staff and see our application being used by doctors and nurses. The app has been designed by Gnucoop for UNHCR to support the Health Information System in refugee camps all around the world. Information is collected offline (to address the poor internet connectivity issue) and data is synced once the internet is available. Synced data is then used to generate tallies and reports. Designing and managing a mHealth tool from beginning to end is not an easy task. Sometimes, also defining requirements is not that easy; everything seems clear at the start; then, when you get into the details, it gets more and more complicated, blurry and at some point, you have the feeling that you need to restart again from the requirements. That’s it, the life cycle of an agile and big project. So, after managing the development of the mobile health tool for over a year and testing the system over and over in our office in Milan, we had the chance to do the ‘real’ test on the field. Between October and December, the application has been piloted in six countries (Zambia, Tanzania, Kenya, Rwanda, Jordan and South Sudan). It has been a hard work but also very exciting. Gnucoop supported UNHCR in the tablets set-up and training of doctors and nurses. Field support should be mandatory; any mobile health project needs to have some support on the ground. It doesn’t mean necessarily to have one member of the staff fully dedicated to that project but at least someone who is familiar with it and s/he can intervene in case of need. Be ready to go back to the initial requirements and adjust them (designing with the users in mind). Modifications can be requested at all levels, from data entry forms or about the information workflow. Any feedback counts as it helps to keep the user in mind first. It doesn’t necessarily mean that any request should be satisfied, some may not be applicable at all, but for sure it helps to keep our vision focused on the users’ expectations and needs. Analysis of the specific context of implementation is a crucial point. This includes an analysis of human resources and infrastructure available (i.e. : internet connectivity, availability of staff) in each location of project implementation. Besides the specific project, mobile and broadband internet serves as a foundation for further technology penetration. Hardware management; it’s important to identify with local actors how tablets or mobile devices should be managed and handled. Will be they kept under the custody of the single doctor/nurse, or under the health centre’s data manager? And again, should be the device locked for single use only, and what does this mean in terms of cost and resources? For sure, we are up for an exciting time, seeing a mobile health project taking shape on the ground! 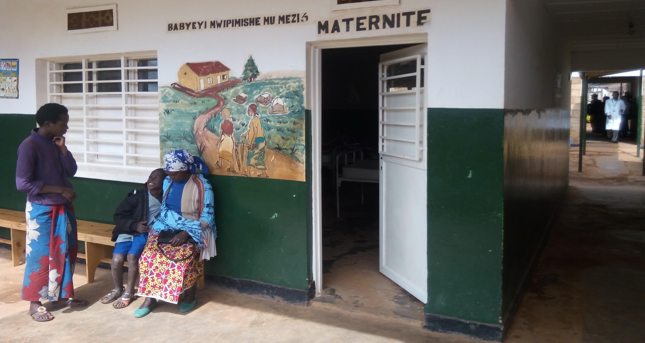 Photo Credit: Paola Fava – Maternity unit at Gihembe Health Center in Gihembe Refugee camp.